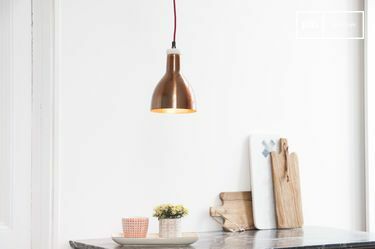 Inspired by metal hanging lights and spotlights, they are suited for other rooms as well, including the dining room and kitchen. By choosing a chain as a cable, you will have double the safety as well as an additional aesthetic advantage. 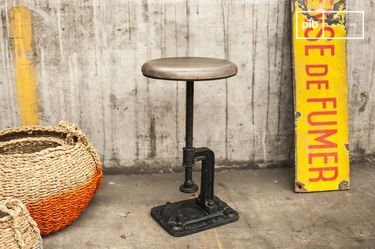 Made of metal, these offer a variety of finishes and a broad range of different shapes that will leave you with a choice between several styles. Moreover, some are adjustable and available in a variety of colours. 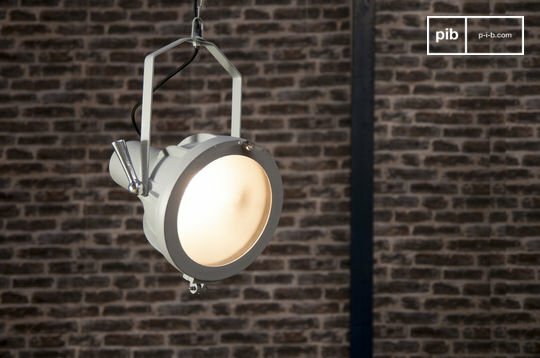 You can, therefore, set your sights on industrial ceiling lights that correspond solely to your personal needs. 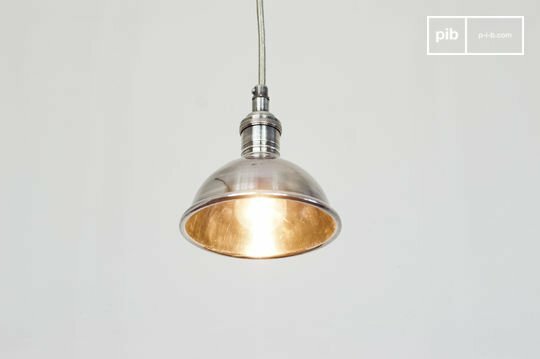 Whether shiny or matte, fixed or adjustable, there is no denying that industrial ceiling lights are available today in a wide variety of forms. 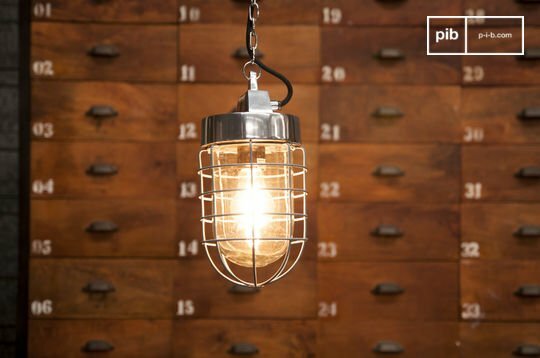 Choose a model which boasts one of the decorative light bulbs or protective glass, especially if the plan is to diffuse light. 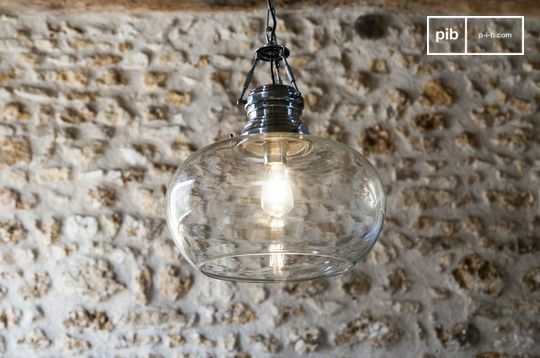 Decorations should always be optimised by choosing suitable industrial style light fittings and retro ceiling lights. 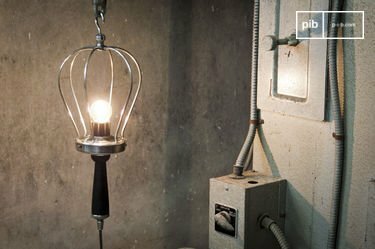 Above a wooden or metal factory-esque industrial dining table, one light fixture of the corresponding range will generate an atmosphere that is positively "New York loft" in appearance, offering an authentic vintage rendition. 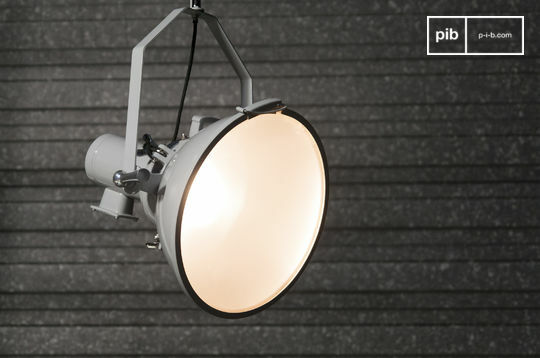 Each and every detail of the industrial lighting selection has been planned and thought through carefully. The cable threads are often braided or lined with a chain in order to bring an additional aesthetic element. 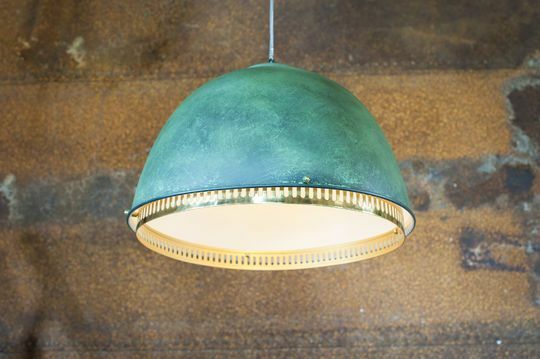 Mostly made of glass and metal, these metallic ceiling lamps guarantee long-term durability and relative strength. 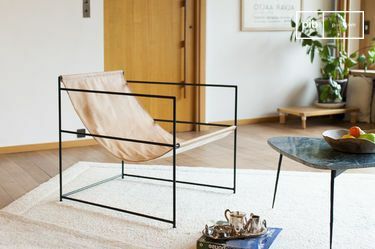 Add to this a timeless rendition, and you can be confident in receiving a unique item that will last for decades, adapting easily to changes throughout the rest of your decor. 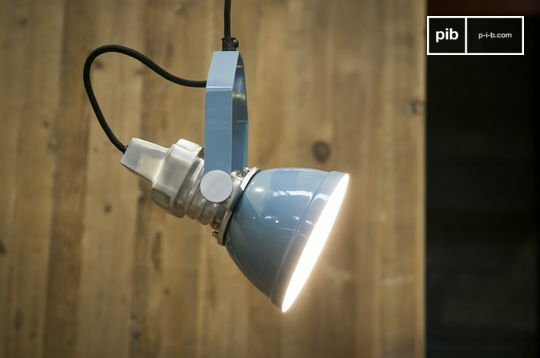 Furthermore, they are simple to install, so you will have no trouble attaching them to the ceiling of your kitchen or living room. 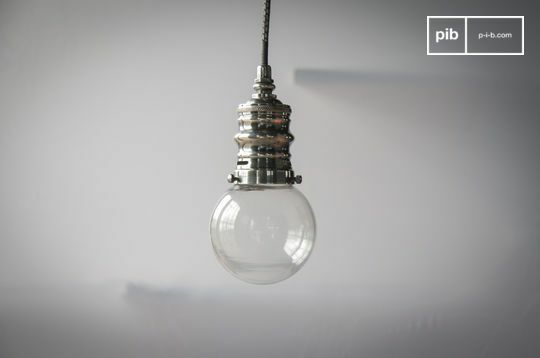 You can also use industrial ceiling lights in addition to another types of fixture - complete your bedroom with industrial wall lamps above your bed, and add mechanical style lighting to your living room.